The online version of this article ( https://doi.org/10.1186/s13048-019-0498-0) contains supplementary material, which is available to authorized users. 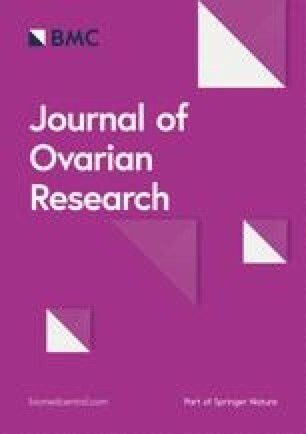 Epithelial ovarian cancer accounts for approximately 90% of ovarian tumours and is usually diagnosed only at advanced stages of the International Federation of Gynecology and Obstetrics (FIGO) system, accounting for its high mortality rate [1, 2]. 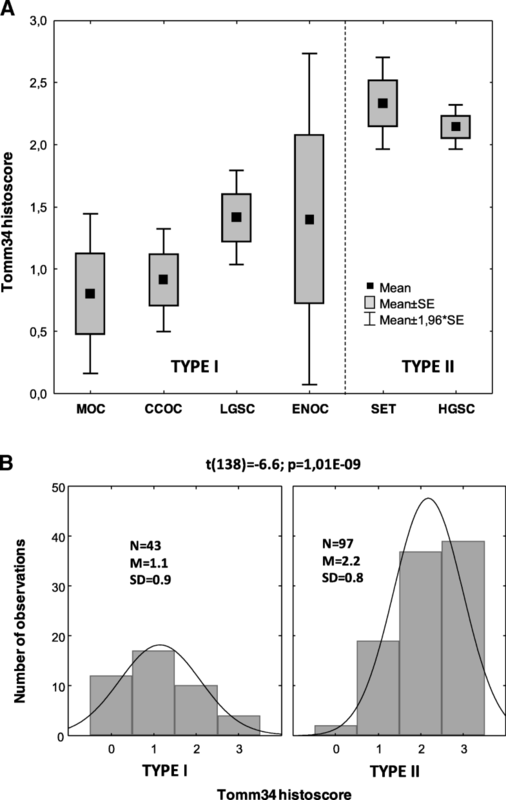 Epithelial ovarian cancer is not a single disease and a dualistic model has been proposed to describe morphological subtypes and cell of origin [2, 3]. Type I ovarian cancers are low grade and develop slowly (including endometrioid, clear cell, mucinous and low grade serous adenocarcinomas) whereas type II cancers are the most common form, representing high-grade serous adenocarcinomas. 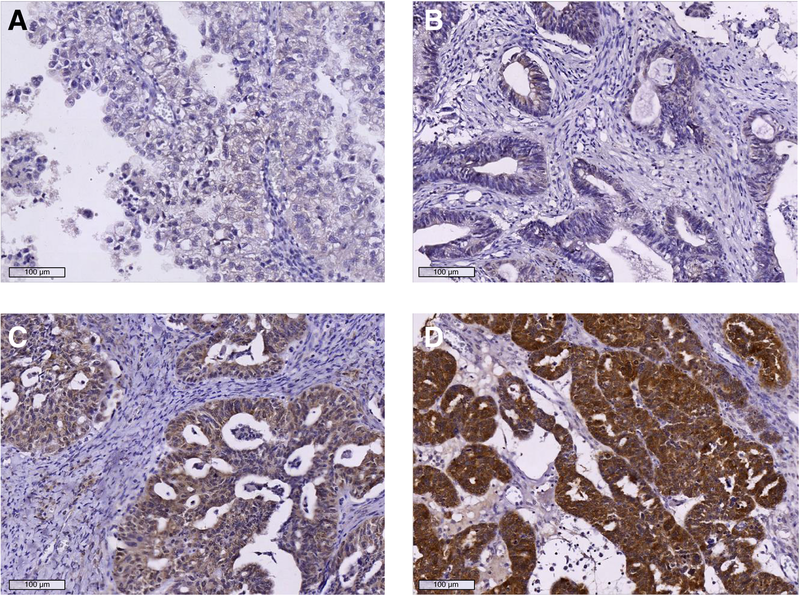 It is also recognized that high and low-grade serous adenocarcinomas originate from precursor lesions in the fallopian tube, whilst the other histological type I tumours arise from endometriosis, germ cells or transitional cells, with an important role for distinct genetic alterations influencing the tumour characteristics [4, 5, 6]. Most notably, mutations in the p53 tumour suppressor are an overwhelming characteristic of Type II high grade serous tumours [7, 8]. Whilst many low grade lesions can be treated with surgery alone, high grade epithelial ovarian cancer is a difficult-to-treat disease that requires surgery plus combination chemotherapy, and even then recurrence is common (70–80% within two years), although this is improving with current targeted therapies for subsets of patients . Translocase of the outer mitochondrial membrane 34 (Tomm34) is an additional component of the cellular chaperone system involved in protein folding. As the name suggests, Tomm34 was initially identified as being involved in mitochondrial protein processing [14, 15]. Subsequent studies have shown that Tomm34 interacts with both Hsp70 and Hsp90 and modifies their protein folding activities [16, 17, 18, 19, 20]. In cancer, high levels of Tomm34 have been reported in bladder, colorectal and breast cancers compared to their normal tissue counterparts [21, 22, 23, 24, 25, 26]. In these cancers, Tomm34 promotes colorectal cancer cell growth  and is a biomarker of poor outcome in early invasive breast cancer  and bladder cancer . As a tumour-associated protein, Tomm34 peptide vaccination is under investigation as a therapeutic option for colorectal cancer, with significant Tomm34 cytotoxic T-lymphocyte (CTL) response observed [27, 28, 29]. Cancer cells require a high level of protein synthesis due to their rapid proliferation and exhibit a high degree of stress due to genomic instability and lack of both oxygen and essential nutrients. To overcome such difficulties, cancer cells show up-regulation of many stress-induced proteins, including components of the protein chaperone system, particularly Hsp70 and Hsp90 [30, 31, 32]. Chaperone inhibition is therefore a clinically promising area , including for the treatment of ovarian cancer [11, 12]. 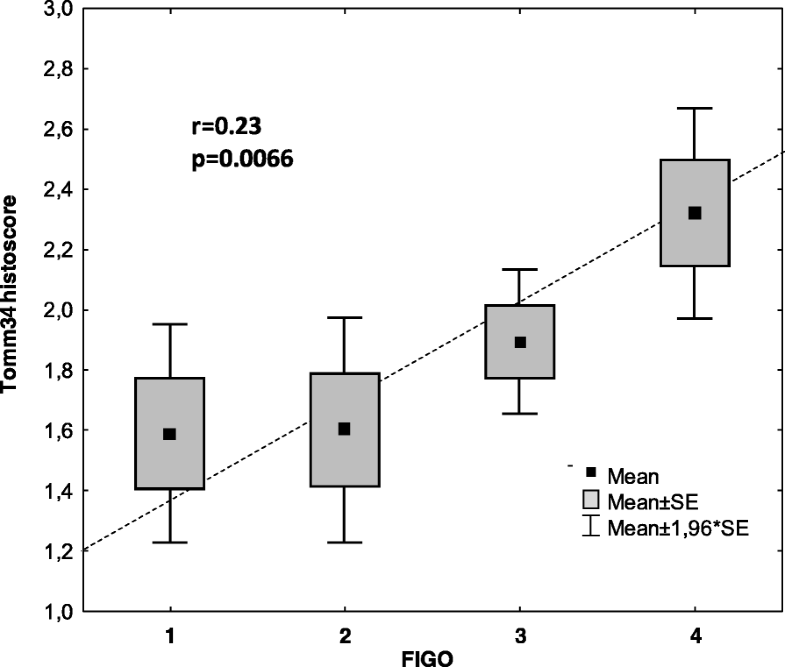 Metabolic abnormalities are also a common finding in human cancers and the high rate of glucose uptake by tumour cells is utilised clinically for cancer imaging by 18F-2-deoxyglucose uptake and accumulation. Although it was originally thought that aerobic glycolysis in cancer cells (the Warburg effect) represented a lack of mitochondrial function, it is now clear that altered mitochondrial function represents a redeployment of glycolytic nutrients from catabolism to anabolism, required to meet the biosynthetic requirements of rapidly proliferating cancer cells, and NADPH production to help maintain redox balance [33, 34, 35, 36]. These alterations to mitochondrial function relate to altered chaperoning of mitochondrial proteins . Thus, targeting abnormal mitochondrial function and chaperoning of mitochondrial proteins is also a promising strategy for cancer therapeutics . Hsp90 and Hsp70 play critical roles in mitochondrial protein stabilisation and folding  and various co-chaperones such as p23, Hsp40 and HOP are also involved [40, 41, 42]. In this respect, Tomm34 was originally identified as a potential mitochondrial import protein  and Tomm34 antibodies inhibit transport of preproteins into the mitochondria, whilst expression stimulates mitochondrial preprotein maturation and TOMM34 siRNA inhibits this process . Tomm34 is also reported to be increased as a component of compensatory adaptations to maintain normal rates of protein import in response to mitochondrial abnormalities . On the other hand, and in agreement with our immunostaining data, Tomm34 exists predominantly in the cytoplasm rather than in mitochondria, suggesting it is involved in the transport of mitochondrial preproteins in an unfolded state prior to import [14, 17, 44].